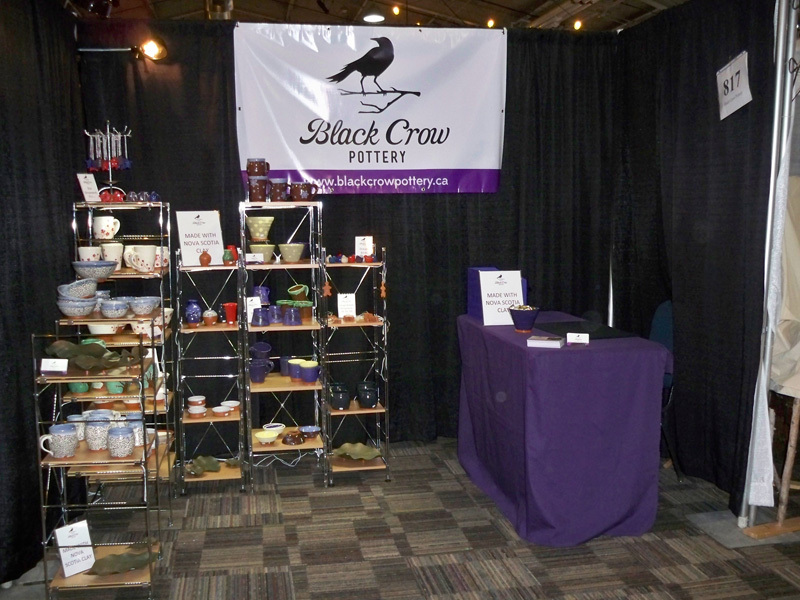 This is my display booth for the show. It took some figuring out and adjusting, but in the end it looked really good. I really tried to promote my use of Nova Scotia clay and I had quite a few people interested and I enjoyed educating the public. This show was a great opportunity to get feedback from the public and comments on my work. 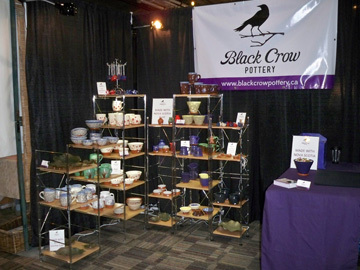 This is the display for the Halifax Crafters Market, it was a smaller space and the lighting was really bad but it was a lot of fun and a very successful show. 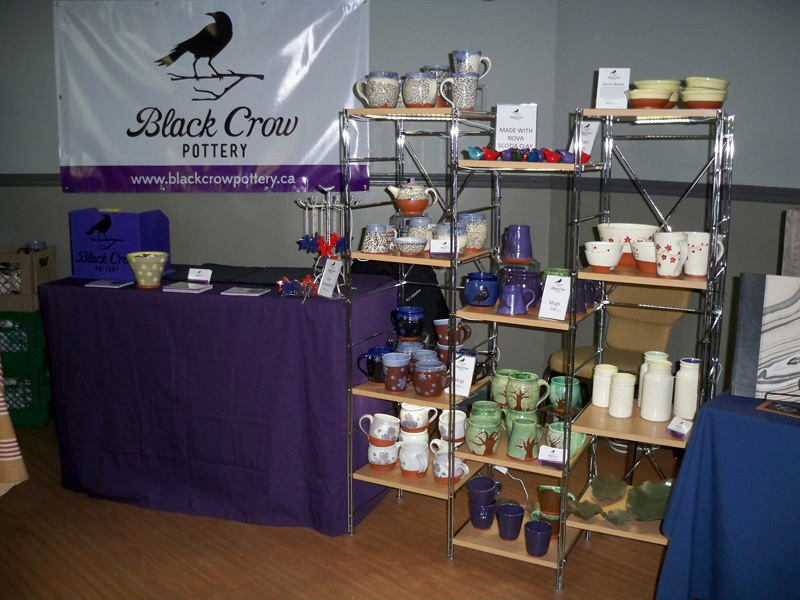 Lisa and I managed to set up a lot faster than the last show and I think with more experience we will only get better.